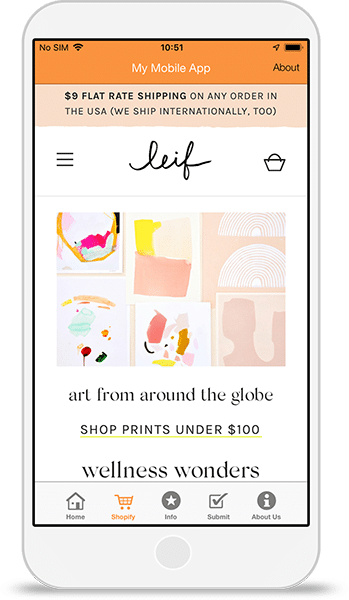 Grow your business and connect your Shopify powered store in your app. Give your customers a fast and easy way to buy with just a few taps. The E-commerce app template comes complete with secure chat, and your business information. Using your Facebook Page and Website URLs we pull information and branding automatically into your app. Connect your Shopify Store using our simple integration — all without writing a single line of code. Launch your Shopify Store app in minutes. Simply follow the simple publish wizard to completion.